Answer: In the Bible, Paul says we should obey the authorities. His words were as follows: “Let every soul be subject to the higher powers. For there is no power but of God: the powers that be are ordained of God. Whoever therefore resists the power, resists the ordinance of God: and they that resist shall receive to themselves damnation” (Rom 13:1-2). Because of Paul’s words, many people who believe in the Lord think that the ruling authority has been ordained by God. Thus, obeying the ruling regime is obeying God. Some people even think that no matter how the authorities prevent and restrict people from believing in God, they should be obeyed. They also say that resisting the government is resisting God. Are these views really correct? Are they really in accordance with God’s will? Then what should we really think about this matter? Actually, from the Age of Law to the Age of Grace, God never said that man should obey the ruling regimes. Let’s just take the Age of Law for example. The Egyptian Pharaoh, the sworn enemy of the Israelites, was a ruler, How did God treat him? He prevented the Israelites from leaving Egypt, and God sent disasters down on him. If he hadn’t let the Israelites go after that, God would have destroyed him. When the Egyptian army was chasing the Israelites, the Red Sea opened up. Then the Egyptian soldiers that chased the Israelites were destroyed; they drowned in the sea. In the Age of Law, all devilish rulers who resisted God were destroyed by Him in the end. Now let’s look at the Age of Grace. Why didn’t the Lord Jesus go to the synagogue to preach? 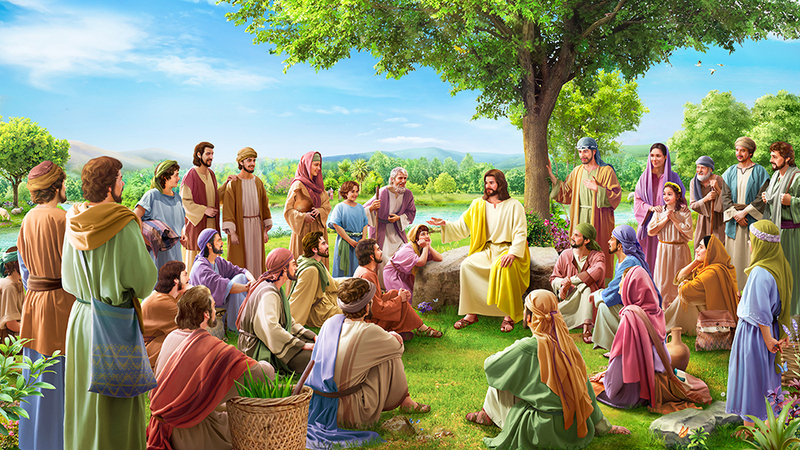 Why did the Lord Jesus preach in the wilderness and among the common people? Because the ruling regime and the religious leaders were resisting God. They all took the Lord as their enemy. This is why the Lord Jesus could only preach in the wilderness and among the common people. If the Lord Jesus’ disciples had obeyed the authorities, could they have continued to follow Him? Could they have still earned His praise? They couldn’t have done that either! From this, everyone who truly believes in the Lord should be able to tell how we should treat the CCP in accordance with God’s will. If someone has believed in the Lord for so many years, yet still cannot see that the ruling regime is God’s enemy, then does that person really understand the Bible? Do they really know the Lord? Many people do not discriminate. They cannot see through this thing. Because they read Paul’s words in the Bible, they don’t know what to do. Some people even think that obeying the ruling regime is obeying the Lord, and that those who rebel against the government rebel against the ordinance of God, they are just asking for punishment. Isn’t this opinion really really wrong? Isn’t it a serious misunderstanding and resistance of God? This is a misguided view that deceives and harms people! We all know, the CCP is an atheistic party. The CCP is in power and that means Satan is in power. The CCP sees God as the enemy. As soon as they see Christ appear and do His work, they will send out the armed forces and never withdraw until the work of Christ is completely eradicated. They’ll never stop until they crucify Christ! Ever since the CCP came to power, they’ve been publicly denying God, condemning and blaspheming God. They have labeled Christianity as heterodoxy and the Bible a heterodox book; they confiscate it and burn it! They have declared religious groups as heterodox organizations and subjected them to oppression and persecution. Especially when it comes to those Christians who believe in the true God, and bear witness to Him, the CCP is always fanatically suppressing, capturing and persecuting them. They carry out inhuman tortures and inflict savage harm. It really is ruthless, unwarranted killing! During these years of the CCP’s rule, they have rebelled against God and persecuted His chosen. Haven’t they committed a litany of sins? The CCP government uses all kinds of methods to hurt and kill countless Christians! Have they not brought disaster upon countless Christian households? According to these facts, we can confirm that the CCP government is the most evil satanic regime in the world. It is a group of devils that rebel against God. So we reject them and turn our backs on them. Is this not acting in accordance with God’s will? Actually, the Lord Jesus revealed this to us long ago. “This is an evil generation” (Luk 11:29). “And this is the condemnation, that light is come into the world, and men loved darkness rather than light, because their deeds were evil” (Jhn 3:19). The Bible also says, “The whole world lies in wickedness” (1Jhn 5:19). The Lord Jesus got to the heart of the matter and revealed the true state and source of this world’s evil and darkness. All of humanity lives under Satan’s influence. There is no space for God or the truth to exist. In the religious communities, no one dares to publicly bear witness to God’s incarnation in the church. There definitely aren’t any people that will dare testify in the church or in public about the truth that Christ expresses. If anyone in any denomination is found to be testifying about the incarnate Christ, they will be condemned. They will be driven out of the church or maybe even handed over to the government. Isn’t this humanity as evil as you can get? Every corner of the earth is filled with the sounds of denying God, denying the truth or condemning Christ. Isn’t this because this world has been ruled by those evil satanic forces that resist God? Think back to 2000 years ago, when the Lord Jesus incarnate was born, He was hunted by the Roman government. When the Lord Jesus preached and did His work, He was crucified on the cross by an alliance of Jewish leaders and Roman officials. When the Lord Jesus’ gospel came to China, it was met with fanatical condemnation and resistance by the Chinese government. There is no telling how many missionaries were afflicted or slaughtered. Since the CCP took over, the number of Christians that have been captured or killed is even harder to count. What does this all prove? Why does the CCP hate believers so much? Why have Christians been persecuted so much throughout history? Why are humans always rejecting and condemning the truth? Why can’t the will of God be carried out on the earth and throughout the countries of the world? Because Satan is controlling humanity. Because the whole world lies under Satan’s domain. Because the earth is ruled by Satan’s evil forces and atheistic regimes that resist God! In particular, the CCP regime is a typical representative of Satan’s evil forces. That’s the reason that humanity is filled with evil and darkness. Isn’t this a commonly accepted fact? However, some people still follow Paul’s words, “Let every soul be subject to the higher powers.” They think that obeying those in authority is obeying God. Then, I ask you: The evil CCP restricts and prevents us from believing in or worshiping God; do we have to obey them too? The CCP captures and persecutes Christians; it forces us to sign declarations of repentance; it forces us to deny God, reject God, and betray God. It even compels Christians to curse God and blaspheme God. Can we obey a regime that engages in those activities? The CCP forbids us from evangelizing and testifying to God, forces us to sell out the Lord and our church, and compels us to serve as their accomplices and running dogs; should we obey them? If we obey the devilish CCP, then aren’t we standing on Satan’s side, resisting and betraying God? now let’s look at what Paul said, “Let every soul be subject to the higher powers.” Can we put these words into practice? Are they in line with truth? Especially Paul said, “Whoever therefore resists the power, resists the ordinance of God: and they that resist shall receive to themselves damnation” (Rom 13:2). Now, looking at Paul’s words, it’s clear there are problems with them; they are very questionable! Could it be that Paul can’t see through the age of evil and darkness? Paul was once arrested and incarcerated for spreading the gospel. According to logic, he should have greater insight into the evil substance of satanic regime than we do. However, those words that Paul said really boggle the mind! We should all know that God allows Satan to corrupt humanity and rule on earth. This is all part of God’s wisdom and planning. The main purpose of God saving humanity is to defeat Satan, and transform those who have been corrupted by Satan into those who obey and worship God. This is the way to totally defeat and humiliate Satan, and eventually seal its fate. Therefore, God allows Satan to rule on earth and corrupt mankind. God wants to let humans discern Satan for themselves; He wants them to see Satan’s essence. God wants mankind to hate and forsake Satan, and God never said that man should obey Satan. Furthermore, He definitely never said that rebelling against the satanic regime is asking for punishment. According to Paul’s point of view, those saints that were persecuted and hunted by satanic regimes or even martyred for the Lord were asking for it because they rebelled against the ruling authority? Really? The saints did time in prison. Isn’t that a beautiful, resounding testimony to the Lord? However, according to Paul’s words, the persecution and slaughter of these saints throughout the ages did not constitute shining testimony to the Lord; they were asking for punishment because they rebelled against those in authority. In the same way, Paul himself was jailed for spreading the gospel. Is that not futile? Then why did Paul use his suffering as testimony when he talked to others? Isn’t there an inherent contradiction here? We believe in the Lord, spread and witness the gospel of the Lord, this is a mandate from Heaven. But satanic governments stop at nothing to persecute Christians. They resist the spreading of the gospel and the carrying out of God’s will. This fully exposes their devilish substance: They hate the truth and are enemies of God. People are cruelly persecuted by satanic regimes because they adhere to the true way and spread the Lord’s gospel. That is what it means to be persecuted for righteousness and is most approved by the Lord. How can we say they’re asking for punishment? The Lord Jesus made it very clear when He once stated, “Blessed are they which are persecuted for righteousness’ sake: for theirs is the kingdom of heaven” (Mat 5:10). Did Paul not know about what the Lord Jesus said? As you can see, Paul’s words obviously contradict those of the Lord Jesus! Therefore, what Paul said is not at all in line with what the Lord Jesus said. It does not conform to the truth. We cannot use it to guide our behavior. We were created by God; we belong to God. We should always listen to God’s words and obey His authority, no matter what. This is righteous and just! Previous：Question 6: The CCP is an atheist party, a demonic group that is most hostile to God and the truth. The demon is the personification of Satan. The reincarnation of Satan and evil spirits is demon, the sworn enemy of God. Therefore, when God appears in the flesh and works in China in the last days, the insane suppression and persecution He encounters from the CCP government, it is inevitable. But the majority of the pastors and elders in the religious community are servants of God who are familiar with the Bible. Not only do they not seek and study Almighty God’s work in the last days, they judge, condemn and frantically resist instead. This is incredible! It is not surprising that the CCP government condemns God’s work. 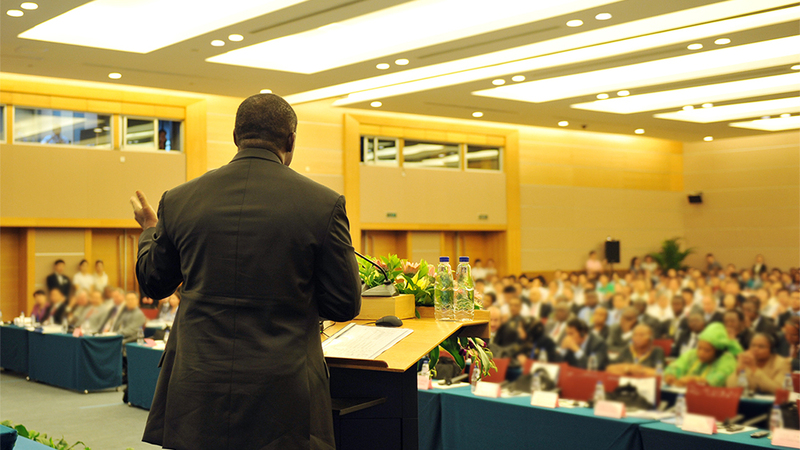 Why do the religious pastors and elders resist and condemn God’s work too? Next：Question 2: The elders and pastors found out you’ve been witnessing Almighty God to us. They’ve been going around spreading heresies and lies and condemning Almighty God. They sealed off the church and have started harassing and stopping our brothers and sisters that try to hear your sermons. They see us as the thorns in their eyes, the most hated of all. They’re also saying that all those that accept Almighty God will be expelled from the church. The church has clearly split into two factions. Some of the brothers and sisters want to study the true way with us. 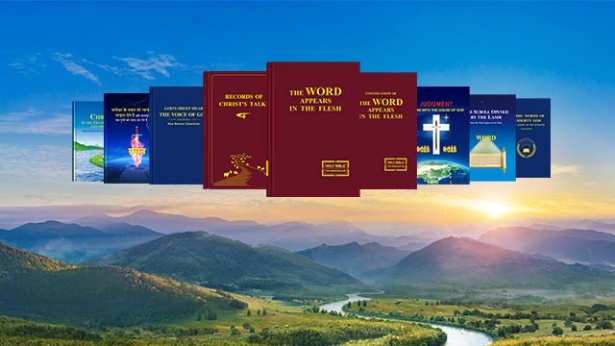 Others are following the pastors and elders in resisting and condemning the Eastern Lightning. They also treat us as their enemies. Why has the church changed that much in just a few days?